Sometimes, even the most unlikely pairings will surprise you. Despite the fact that they're both fruits, strawberry and avocado don't couple up on too many occasions. 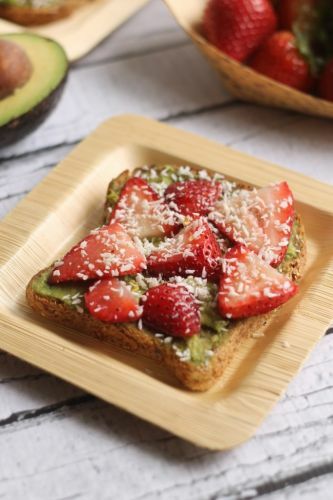 But in this recipe for strawberry avocado toast, the two come together in sweet and savory harmony, topped with shredded coconut, drizzled honey or maple syrup, and sea salt to seal the deal.